TOKYO, Jan, 28 2019 - (JCN Newswire) - Mitsubishi Heavy Industries Engine & Turbocharger, Ltd. (MHIET), a Group member of Mitsubishi Heavy Industries, Ltd. (MHI), is to undertake major expansion of its product lineup made and sold through Shanghai MHI Engine Co., Ltd. (SME), its joint venture with a local manufacturer and marketer of diesel engines based in Shanghai, China. 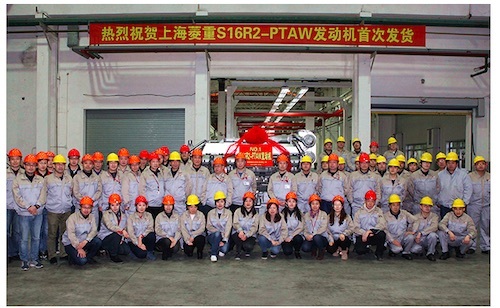 The move is aimed at developing diverse market demand in China now that, after six years in operation, SME has acquired solid brand recognition and built up corporate strength. 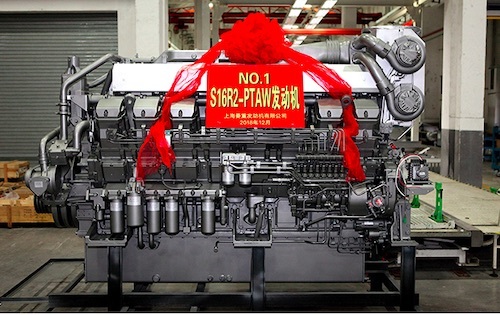 As the first step, SME has newly launched the "S16R2-PTAW-C," a powerful 2,000-kilowatt (kW) model in the SR Series of diesel engines used in power generation applications. The new offering will stimulate demand for a diverse range of distributed and stand-alone power generation systems.